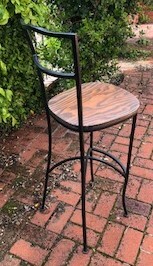 Iron Vineyard Bar stool. metal frame and wood seat. Price includes black chair cushion.